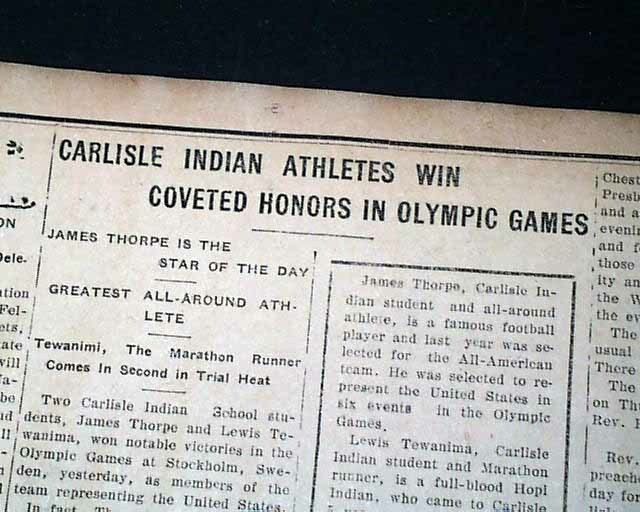 VALLEY SENTINEL, Carlisle, Pennsylvania, July 9, 1912 Although legendary athlete Jim Thorpe was born & grew up in Oklahoma, he has very close ties with the city of Carlisle. 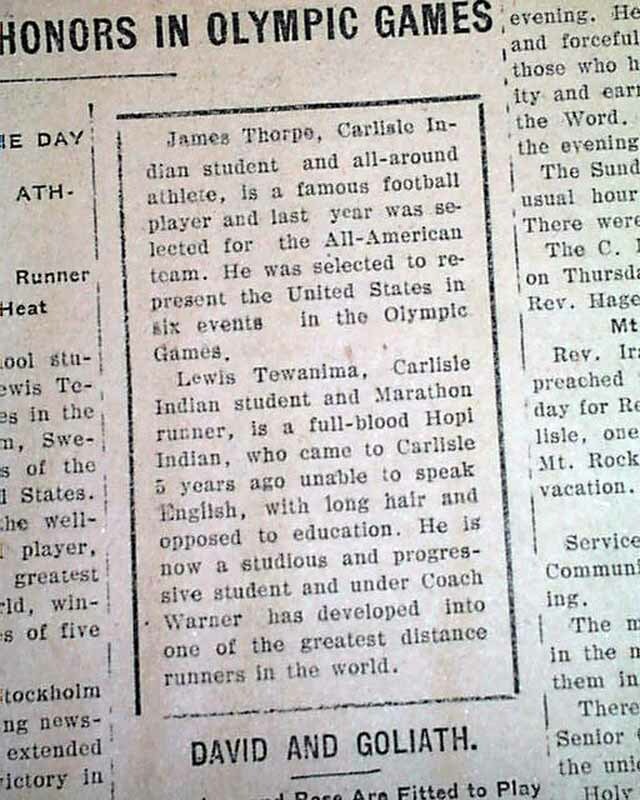 It was in 1904 when Thorpe attended the Carlisle Indian Industrial School that his incredible athletic prowess was discovered by "Pop" Warner, one of the most influential coaches in early football history. Three year later while still at Carlisle Thorpe walked on to the track and made an impromptu high jump in street clothes, beating the school's high jumpers. 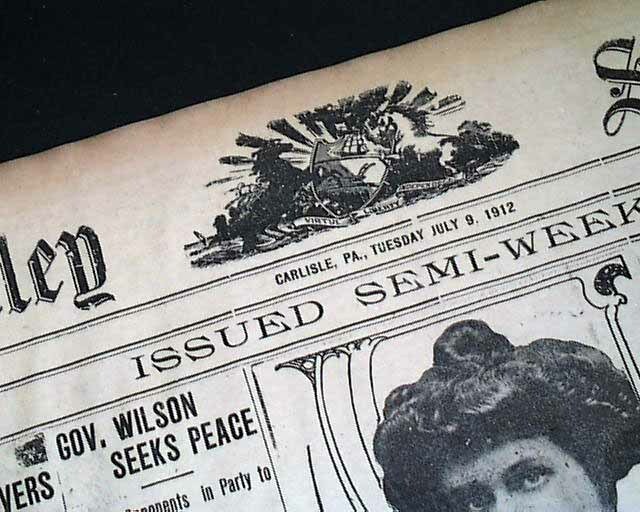 He also competed in football, baseball, lacrosse, and even won the 1912 inter-collegiate ballroom dancing championship. 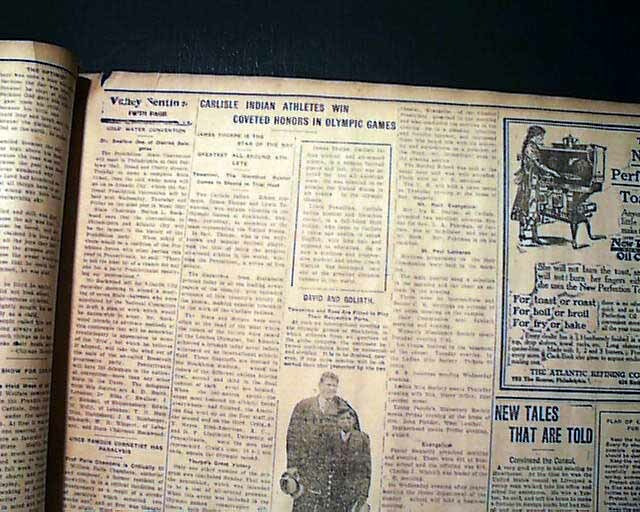 Thorpe came to national attention during the 1911 football season as a running back, defensive back, placekicker, and punter, leading his team to the national collegiate championship in 1912, the year in which Carlisle's victory over Army included an injury by future President Dwight Eisenhower while attempting to tackle Thorpe. 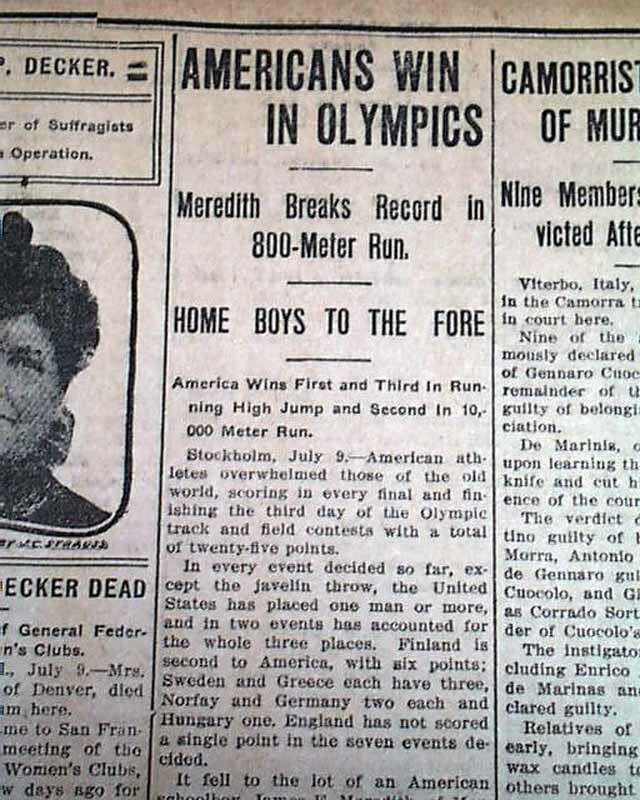 But it was in track and field where he won Olympic gold at the 1912 Olympics in Stockholm, Sweden, for both the pentathlon and decathlon. 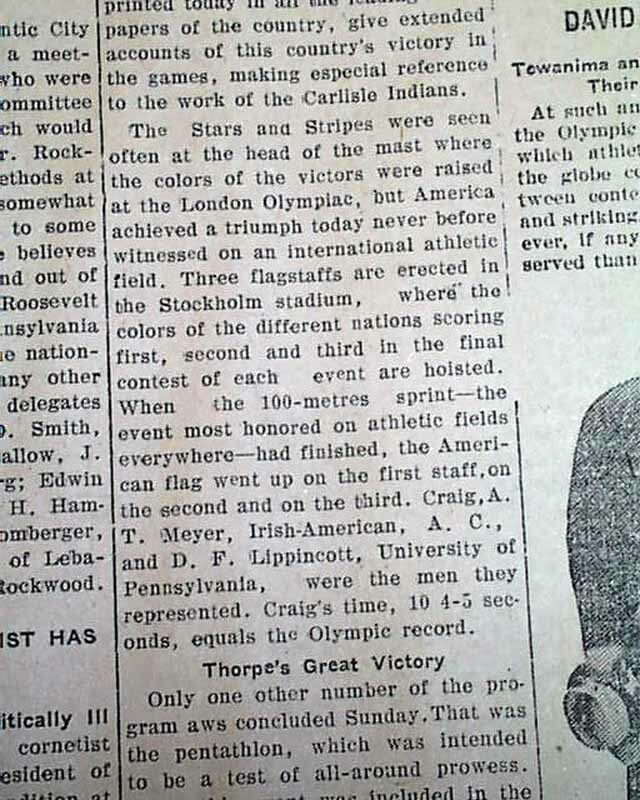 This Carlisle newspaper reports on page 5 Jim Thorpe's gold medal win in the pentathlon (see). 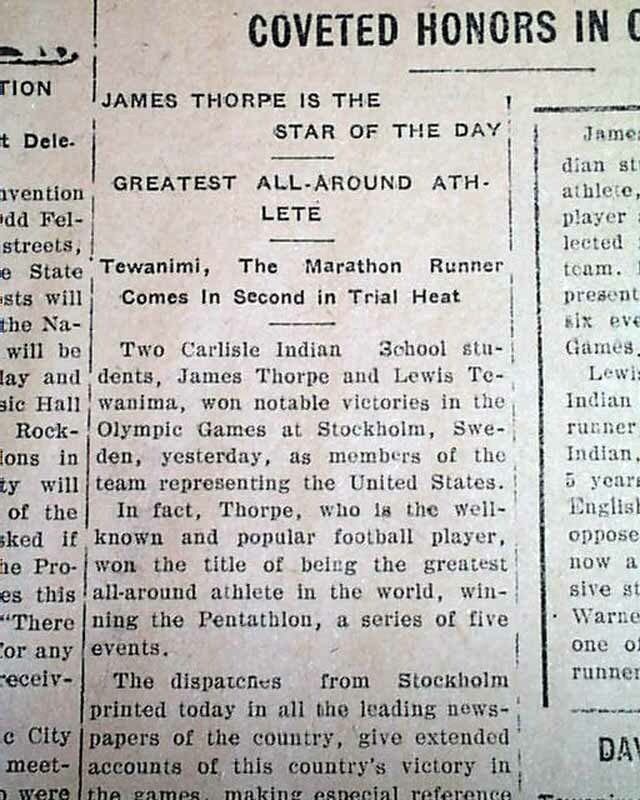 The headline reads: "Carlisle Indian Athletes Win Coveted Honors In Olympic Games" with subheads: "James Thorpe Is The Star of the Day" "Greatest All-Around Athlete" Tewanimi, the Marathon Runner comes in Second in Trial Heat" [Tewanimi was a fellow student at the Carlisle Indian Industrial School]. 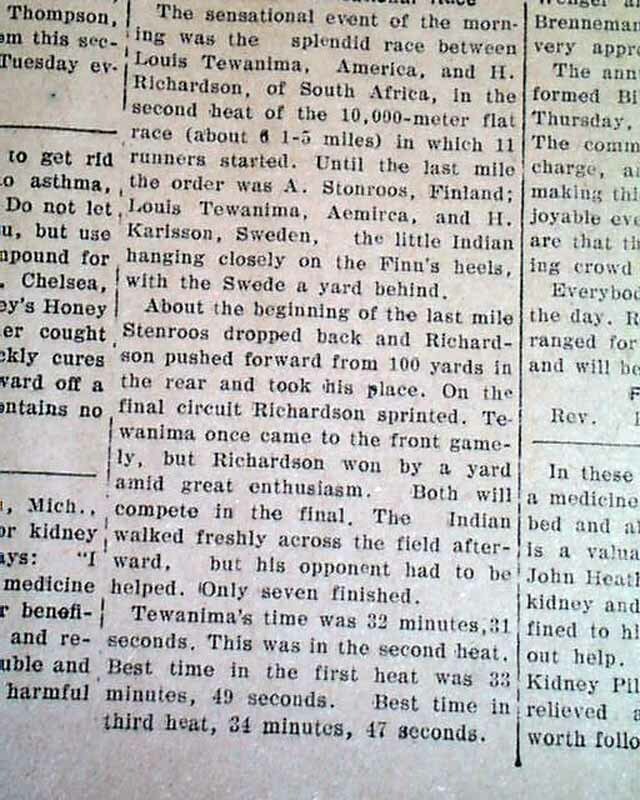 The article seen in the photos reports details of his victory. 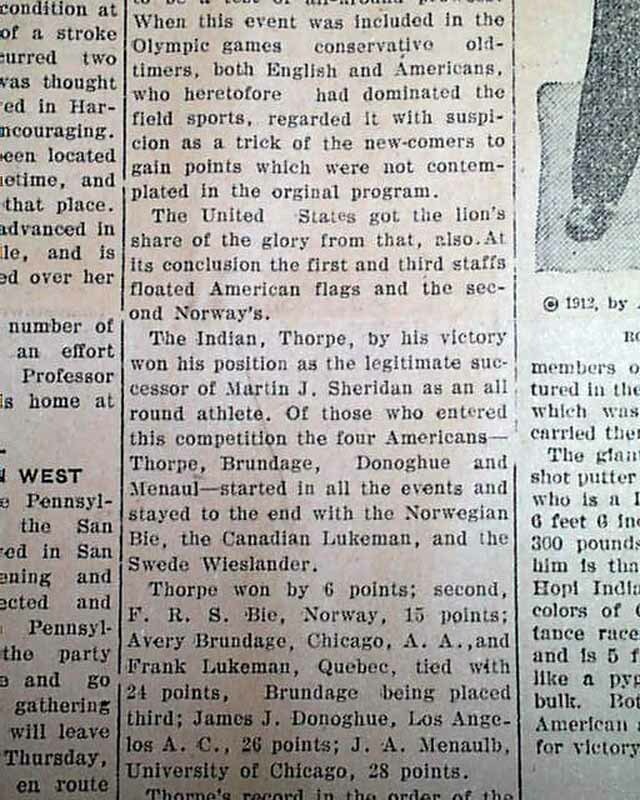 Truly terrific to have this report in a newspaper from the city where he lived as he gained both Olympic and international fame. 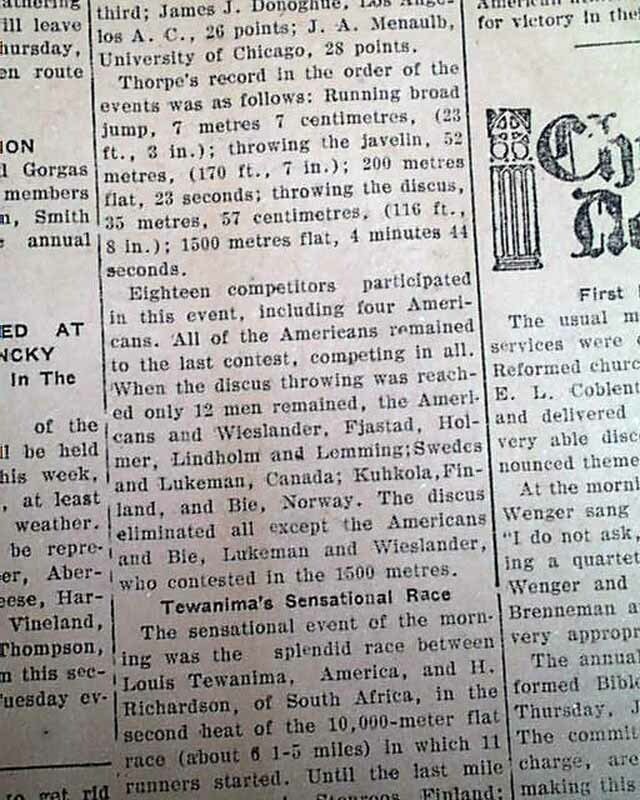 Additional Olympic reports are on page 3. 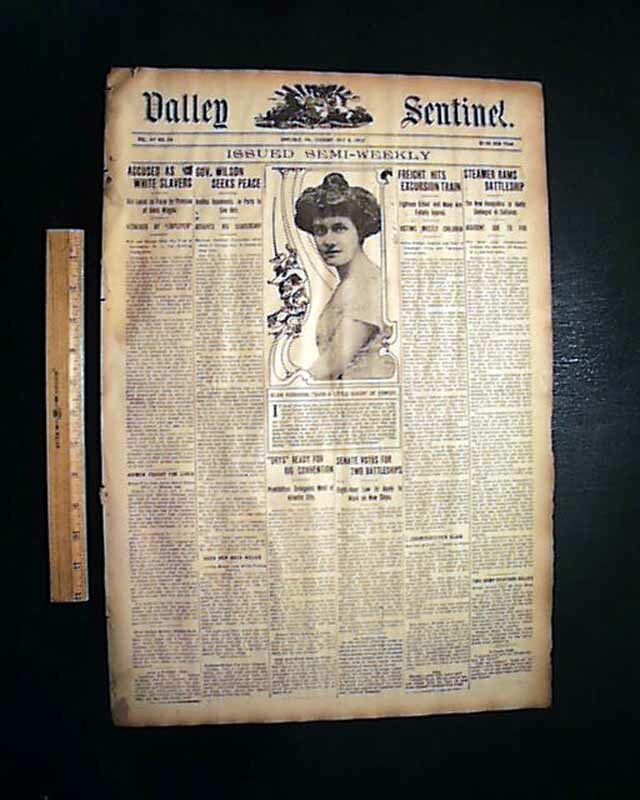 Complete in 8 pages, light browning with minor margin wear and slight damp staining, otherwise good condition. Should be handled with care.